Superbook takes Chris, Joy, and Gizmo back in time to meet the apostle Paul, who has been arrested and put aboard a prison ship to stand trial in Rome. They see how Paul has the strength to face many dangers, including a dreadful storm, a terrible shipwreck, and a poisonous snake. The children learn to look past weakness and fear to focus on the Lord and His mission for them. 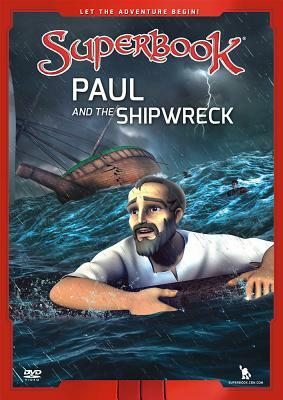 Superbook: Paul and the Shipwreck by Superbook was published by Charisma House in November 2017 and is our 3126th best seller. The ISBN for Superbook: Paul and the Shipwreck is 9781943541331. Be the first to review Superbook: Paul and the Shipwreck! Got a question? No problem! Just click here to ask us about Superbook: Paul and the Shipwreck.